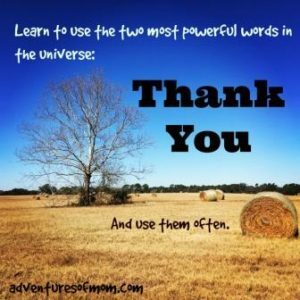 With Thanksgiving only a few weeks away, now is a great time to start practicing using the two most powerful words in the universe: ‘Thank You.’ You can change a person’s demeanor, make their day and your own in the process. Practice using these magic words daily and watch the world change around you. The two most powerful words in the universe can change your life. Use them often. Feel free to pin this and share this and make life a better place for all.